Featuring a rugged slim-line design, the durable Cobra MT 645 is water/splash proof (JIS3 specification) and provides dependable coverage with a signal range of 3 miles (5 km), making it the ideal companion for a number of activities. Equipped with VoX hands-free communication, back-lit LCD screen and up to 2662 channel combinations, the MT 645 offers excellent value for money and a convenient way of communicating easily with others. Further benefits include standard features, such as: roger beep, call alert tones, auto-squelch and more. Rechargeable batteries are included with the handsets, as is a convenient Y-shaped Micro-USB charging cable allowing you to charge both simultaneously. For a durable set of two-way radios from one of the leading manufacturers of walkie-talkies, the Cobra MT645 offers reliability, good range, and ease-of-use at a decent price. 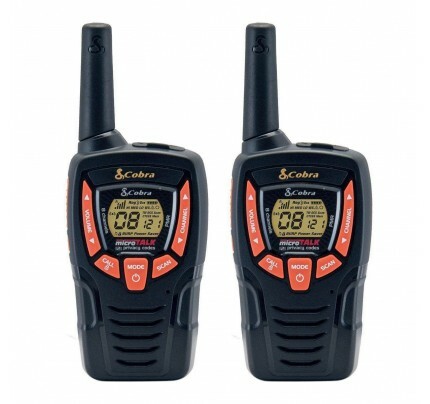 Decent set of two way radios for a decent price. Ligo were excellent, would recommend! 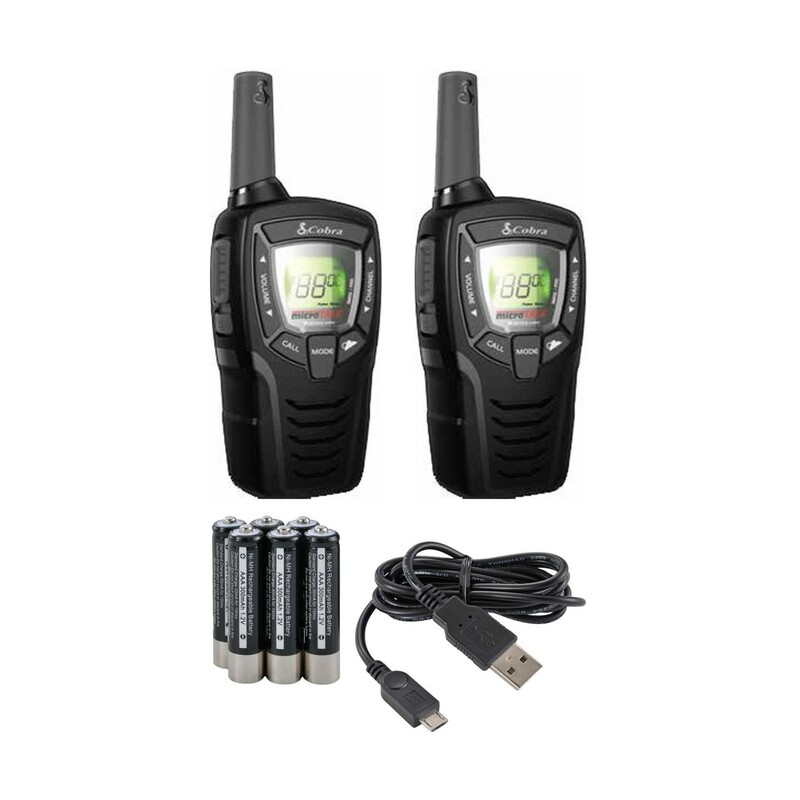 These are compact and well made pair of two-way radios. Worked better than the more expensive model they were bought to replace, so I think they offer value for money. The actual range is only around half a mile in built-up urban, and also thickly wooded countryside (you'll only get the maximum range in clear open spaces) so make sure you adjust expectations accordingly. They come with 3x AA rechargeable batteries and you can use non-rechargeable ones at a pinch if you're caught out. Overall, very happy with quality of the product and price paid. Would recommend.